Healers, mystics, and shamans od the Clans, the Light Dragons are arguably the clan with the weakest physical strength, but the fact remains with their powers; they can even ressurect people from the dead. Ressurection is a power only useable by Tier 20 Light Dragons, allowing them to sacrifice a part of their life essence to restore a mortal. 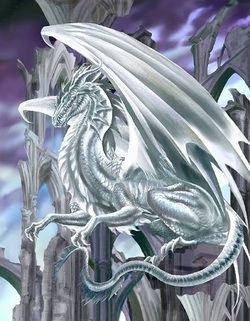 Due to the fact that Dragons are immortal allows a Light Dragon to ressurect a person from death, but only once in their lifetime, and at a great price; their immortality. Upon use of the ressurection spell, the Dragon;s immortality fades, and they will finally feel the effect of time and die of old age. Due to this dangerous and sacrificial act, the Ressurection spell has not bee used since the Sealing, where the Great Dragon of Thunder died and was ressurected by the White Dragon, Whirin, who forever has a place of honor in the Great Clan Chambers.